Seville grass is considered a dwarf cultivar that is a much finer textured grass than Floratam. Seville grass is blue-green in color with excellent color retention. Seville tolerates salt, shade, and drought well. Its leaf blade gives it a unique appearance preferred by many homeowners. 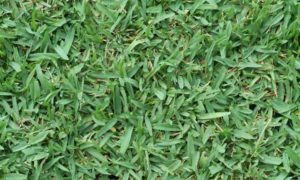 It is considered one of the most shade tolerant turf grass among the St Augustine grasses. It can tolerate wide pH ranges, from the acidic soils often found inland to the high pH soils of the coastal areas. Because Seville can tolerate and persist in areas within a lawn with only 6 to 7 hours of sunlight, it is considered a favorite choice among landscapers for lawns with moderate shade. Seville, like all other cultivars of St Augustine grass, establishes quickly in most environments. This type of grass is often found in full sun locations, but it flourishes in other parts of the lawn, especially with a reputation for living in shady conditions. Seville grass St. Augustine grass can make your home look beautiful with greenery without a high amount of lawn care. Seville, with the proper routine maintenance through the establishment period, will take root in the soil and fills out to a beautiful, natural-looking lawn. For more information on the Seville St. Augustine grass, we encourage you to consult with one of our experts. Seville St. Augustine is sold as sod only (no seed available). Contact us today!